The city experienced light to heavy thunder showers in the evening on Tuesday with heavy wind. 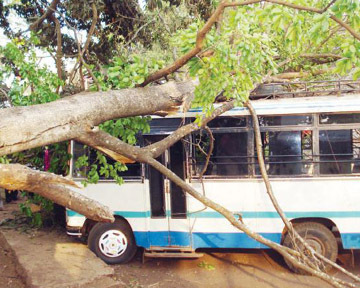 Many of the trees were uprooted and in one such incident a part of tree fell on a mini bus parked at Bogarves. No one was injured in the incident.